Care Quip Bariatric Wheelchair - Designed to meet the needs of Bariatric clients, this specialised wheelchair comes in a range of seat width and has a safe working load of 155-315kg. 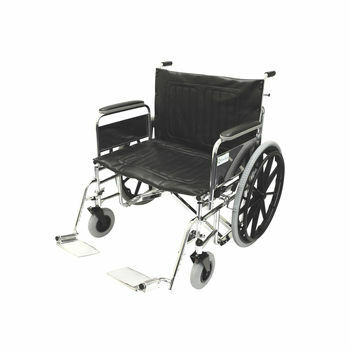 This wheelchair features removable armrests and swingaway detachable footrests. With reinforced nylon this upholstery has an exceptionally strong construction. Seat widths 50-80cm.